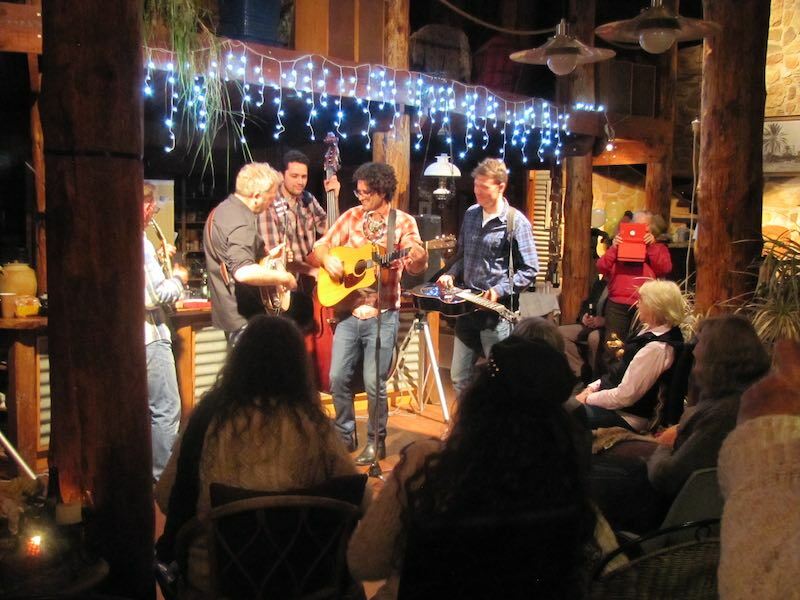 Saturday night July 1st saw one of the best bluegrass bands from Adelaide, ‘The Cherry Pickers’ play a house concert hosted by Bob and Sue Tulloch at their place, Peppertree Lane Quorn. Speaking from the heart, the guys (who have been playing together for 10 years and performed at many large venues) said this concert would have to be one of their 5 best shows. Anton Lunsted ( Director of the Melrose Music Muster) organised their booking which also had them generously playing at the Emergency Services Bushfire Benefit concert Sunday morning at Pt Pirie. Their latest CD is ‘Hand Picked’ ‘a tribute to a defining era of Australian music’. Hoping this is the start of many more house concerts in the area.